Use GoldMine without needing GoldMine Mobile or GoldMine Integration Services. 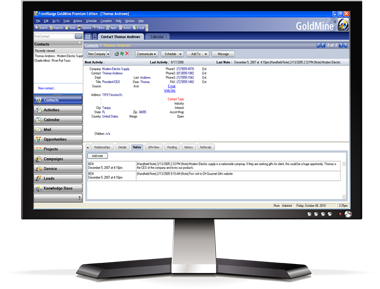 CompanionLink provides data synchronization from GoldMine to Android, iPhone, iPad, Windows Phone and BlackBerry phones and tablets. It also syncs with Gmail and G Suite by Google Cloud. Two-way sync of contacts, calendar activities, to-dos, notes and histories. GoldMine data works with built-in device features like Caller ID and email. Sync GoldMine contacts, calendar activities, contact notes and histories with your Google, Gmail, or G Suite by Google Cloud account. 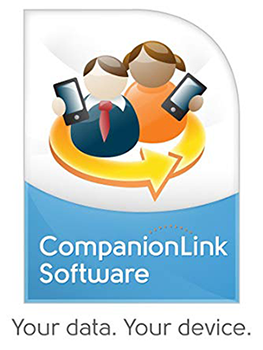 CompanionLink installs on the PC and syncs GoldMine data to your Google/Gmail account. Two-way sync is fully supported so you can make changes to data anywhere. Once your GoldMine data is syncing with Google, you then will setup/configure your device to sync with Google via Google Sync. CompanionLink will also sync GoldMine contacts, calendar, and tasks with your Outlook.com account. This data will then sync automatically and over-the-air with your Windows Phone courtesy of Microsoft’s free sync service. With our two-way sync, you have the freedom to edit information on your device, in your Outlook.com account, or in GoldMine. NOTE: CompanionLink provides the option to sync GoldMine to-dos with Google Tasks or Google Calendar.